Just enables Terek to Breezehome. If you want to do anything my files, ask first! This is a simple mod what I made for myself. The only thing it does is to re-enable Terek to inhabit Breezehome. 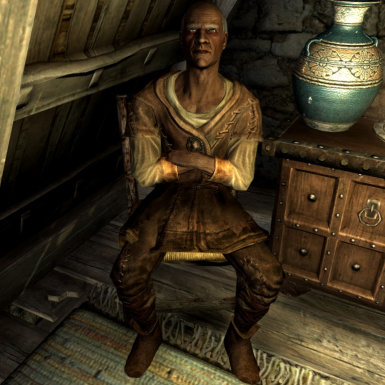 Terek is a male Imperial citizen who illegally lives in Breezehome. He sleeps for eight hours at midnight. He wears farmer clothes and carries an iron dagger.